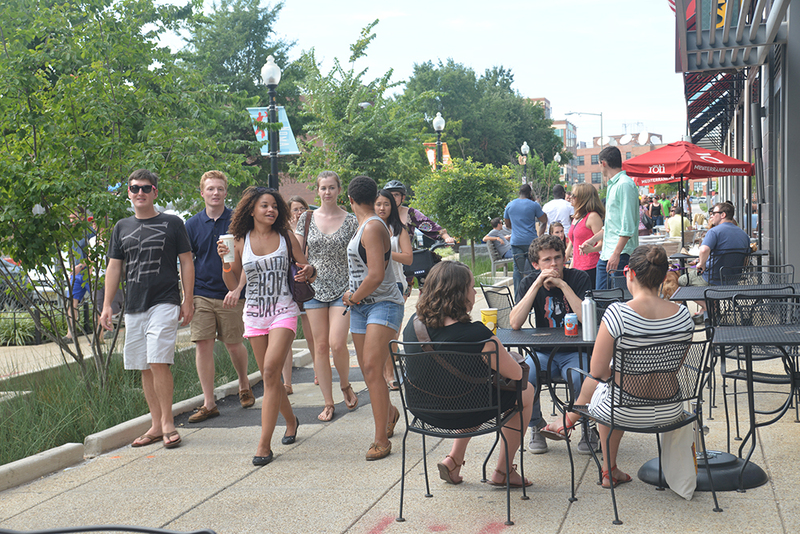 The NoMa neighborhood in DC offers and expansive public realm of wide sidewalks with great places to see and be seen. Architecture, landscape, rain gardens, street furnishings and a diverse mix of workers and residents makes this a quintessential Third Place. 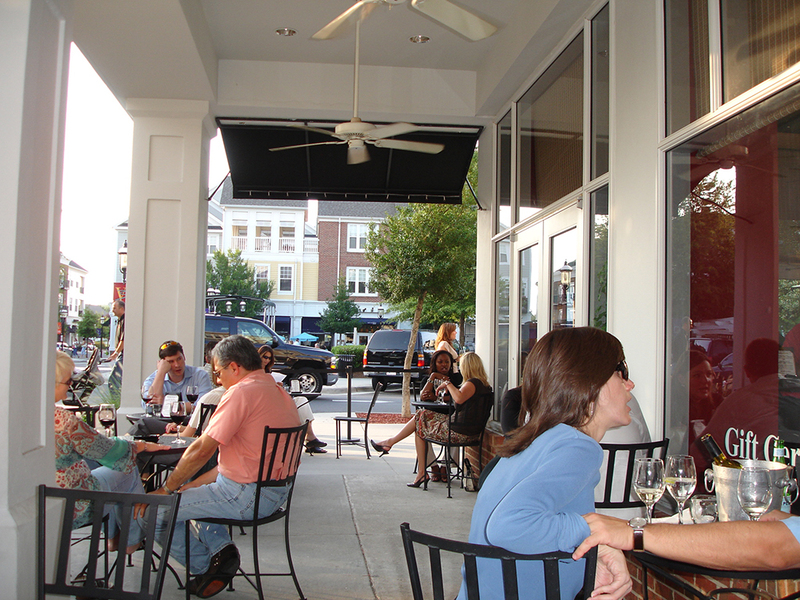 Birkdale Village outside Charlotte, NC. A vibrant public realm that engages the private realm of the shops, businesses and residences creates a safe and inviting environment for all. Many national surveys indicate that Montgomery County is one of the highest educated and wealthiest counties in the country. We cherish our natural assets and work to preserve our agricultural lands and historic resources. To do this while remaining competitive within the Washington, DC region, we must plan all places in a way that is commensurate to these high standards. Ultimately, we want to encourage future development and growth that supports a walkable, safe and vibrant public realm at the urban, suburban and rural levels. 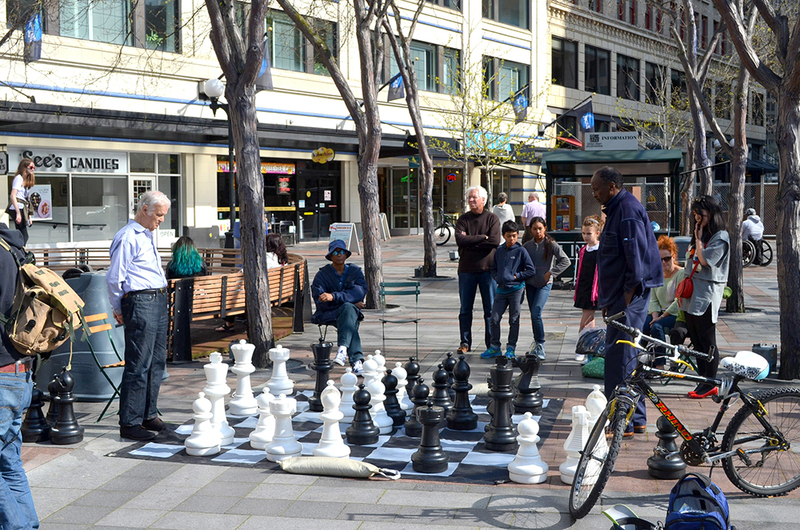 Well-designed urbanism and even tactical, temporary urbanism that draws young and old alike, can make places great. Westlake Plaza in Seattle offers both in this thriving Third Place. This blog will illuminate many ways of creating extraordinary, well planned communities without losing the neighborhood elements of landscape and open space that we all cherish. We hope to stimulate creative insight, constructive thought and meaningful feedback. Stay in touch with The Third Place!